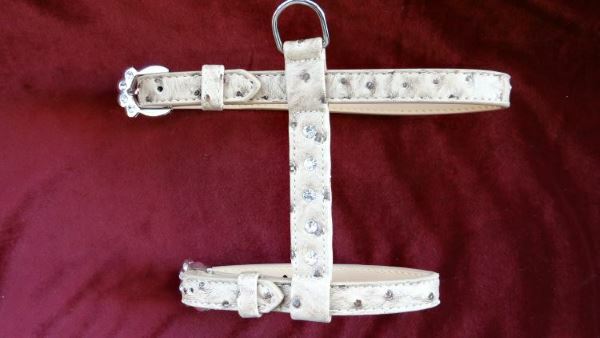 This Beige Faux Leather Dog Harness with Rhinestones is a light beige faux leather with dark beige markings. This harness is encrusted with 5 crystal rhinestones that are riveted down the middle of the back. 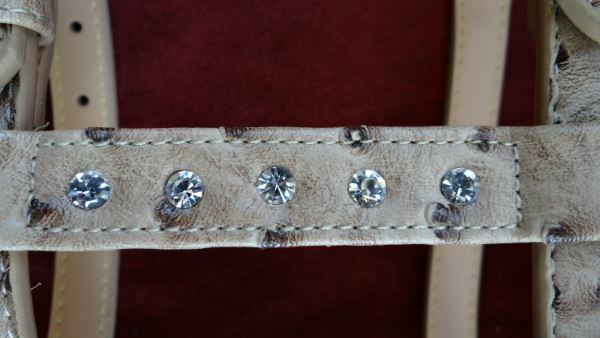 The two buckles on the Beige Faux Leather Dog Harness with rhinestones are a silver metal made to look like a paw print and they each are embellished with 4 crystal rhinestones. 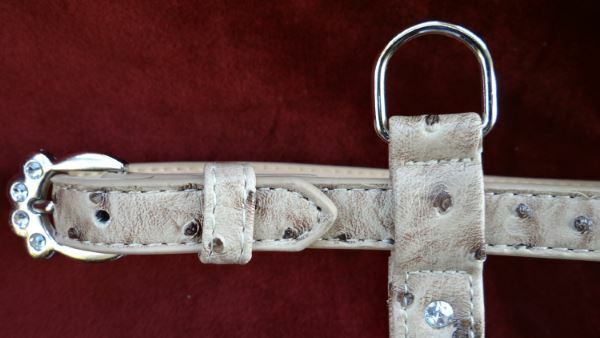 The leash loop is made of a silver metal and is attached at the base of the harness. The harness is a size small. Neck adjusts 9” - 12” and the breast girth adjusts 15” - 18”.